Barbara Elaine Fricke Smidt, 90, of Garden City, died Thursday, April 5, 2018 in a Meridian nursing home of natural causes. 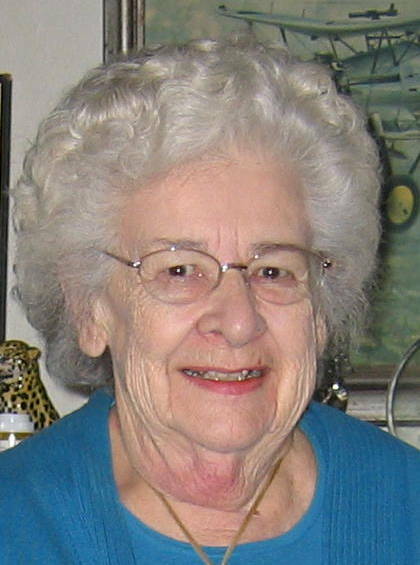 Mrs. Smidt was born on November 11, 1925 in Glenns Ferry, Idaho to Omar C.W. and Elizabeth Jane Wallace Fricke. She spent her early years living on her family’s ranch on the north bank of the Snake River in King Hill, and often spoke of falling asleep to the sound of coyote calls. She attended the school in King Hill originally founded by her grandfather, Frederick Fricke. The family moved to Gooding in 1943, where she graduated from Gooding High School. After graduation, she worked in Gooding as a clerk at the Idaho Department of Public Assistance. She moved to Boise, where she lived with her aunt and uncle, Jeannette and John Fader while attending Boise Junior College. She married Chester David Smidt in 1953 in Boise and the couple moved to California in 1955. In California, she worked as a secretary for the Aerojet-General Corporation until the birth of her son, William Glen Smidt in 1957. When the marriage ended in divorce, she returned to work at Aerojet-General as a Material Control Specialist, the first woman in the company to hold that position. Mrs. Smidt and her son, Bill, returned to Idaho in 1966. In Boise, she worked at the Idaho Transportation Department as a secretary in the Personnel Office and then in the Bridge Design office until her retirement in 1991. Mrs. Smidt was an avid collector of Teddy Bears and a keeper of family stories. She had a deep interest in Idaho History and was active in local history and antique groups. She was a thoughtful and generous friend with a keen sense of humor. Mrs. Smidt is survived by her son, Bill Smidt, Pomona, CA, her brother, Omar Fricke and sister-in-law, Beverly (Huffman) Fricke of Meridian, niece Tamara (Fricke) Shapiro Ansotegui, great-niece Naomi Shapiro, and great-nephew, Gavriel Shapiro, all of Boise. She was preceded in death by her mother and father. I was unaware of Barbara’s passing after being in Breast Cancer treatment at the time, and never having heard anything from any of the family. She had a lovely, and vivacious spirit and was a very special cousin that I was proud to be related to! We also had some wonderful visits, and times with her were always lots of fun!